How long have you been practicing Tai Chi? 15 years. In September 1998 I had my first Tai Chi lesson with Joe Harte, who was training with Patrick Kelly, a long term student of Master Huang Sheng Shyan. The teaching is based upon Master Huang’s 5 loosening exercises, Cheng Man-Ch’ing’s 37 movement short form, Yang style 108 long form, fixed pattern pushing hands and meditation. After 18 months Joe Harte moved to the North East and I was lucky to continue this training with Dave and Jean Haines, also long term students and senior instructors of Patrick Kelly. In 1989 when I was a Superintendent Physiotherapist in Elderly Care our Chinese Consultant asked me why I wasn’t doing Tai Chi with our Day Hospital clients like they did in China. At the time I had no idea what he was talking about. A career break for children followed and it wasn’t until ten years later that the instructor on a ‘Muscle Balance’ course suggested Tai Chi might help improve my poor posture and reduce low back pain. This time I was determined to find a class. What does Tai Chi mean to you? I feel Tai Chi helps to keep me young and slows down and reverses the aging process! It has helped improve my posture and I rarely get back pain any more. Tai Chi has also helped teach me how to be calmer. This has helped in all areas of my life, such as my other hobby, horse riding. Being more relaxed helps the horse to stay calm and move more freely. The internal aspects of Tai Chi. I am a rather busy and active person, always doing something either mentally or physically and if it wasn’t for Tai Chi I would not actually stop! Tai Chi helps me slow down, become internally calmer, and take time out for myself. Do you have any personal goals? To keep working with my teachers, Dave and Jean, in Patrick Kelly’s system of training and to keep improving. Also passing on this knowledge to my best ability to my students. I’d also like to inspire other Allied Health Professionals to start using adapted Tai Chi and Qigong with their clients to improve their health. Firstly, listening to Patrick Kelly explain in minute detail the internal aspects of Tai Chi and then watching him demonstrate this in the Tai Chi form as well as in partner work. Secondly, attending a lecture by Dr Lorimer Moseley, an Australian Clinical Neuroscientist studying pain in humans explain how it is possible to remodel the brain and nervous system to treat people with chronic pain. This made me realise that teaching chronic pain patients to listen or feel their body’s internal sensations – joint, muscle and pressure sensors etc in the Tai Chi form, rather than concentrating on pain could possibly help rehabilitate damaged nervous pathways. Finally, the late Linda Chase Broda, founder of the Tai Chi and Chi Kung Forum for Health for getting together experienced Tai Chi players who were willing to share their expertise in using Tai Chi in the health field. What do you make of Tai Chi’s current popularity? I think Tai Chi’s popularity will continue to grow as research proves it’s benefits in health and well being. It is now a recognized form of treatment in the NHS for older people as research has shown it can reduce the risk and rate of falls. Tai Chi and Qigong’s potential as a therapy is being found in many other areas such as palliative care, cardiac and pulmonary rehabilitation etc. As a teacher how do you feel about the martial aspect of the art? I have no problem with Tai Chi being a martial art. This is the reason that it is so valuable in the health field. The external teaching, learning upright posture, the detailed choreography of the form etc strengthens postural muscles, improves flexibility and balance. The internal teaching, with concentration on working the mind in a meditative state to develop relaxed muscle tone, joint position and spatial body awareness is essential in a martial situation. What are your views on competition? I didn’t realise that Tai Chi competitions were so big until I recently joined the TCUGB and read about the European competition in the magazine. I am concerned about developing the internal aspects so it would be counterproductive and makes no sense for me to compete. Also it is nice to have one area of my life that is not competitive. What direction would you like to see tai chi going in the future? I would like to see more emphasis placed on teaching and learning the internal aspects of Tai Chi and of course more people of all ages taking up Tai Chi. In the health field more high quality research studies into Tai Chi with different conditions such as chronic heart failure, chronic obstructive lung disease, chronic low back pain and fibromyalgia etc will help convince the medical professionals of the benefits of this form of exercise. 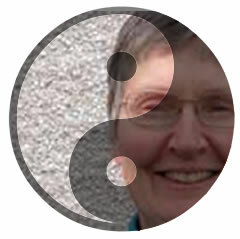 Ros Smith is a Chartered Physiotherapist based in Cockermouth, Cumbria and can be contacted on 01900 829545 or Tai Chi Exercises. This entry was posted in Issue-42, Meet The Teacher on 17/06/2015 by Admin.